Former President Bill Clinton finally catches on to the true meaning of black privilege. On Sunday, Bill Clinton said he believed that President Barack Obama received friendlier media coverage than did other chief executives in part because of his race. Via The Washington Times: “Asked about the stark contrast in press coverage between Mr. Obama and President Trump, Mr. Clinton agreed that there was a different standard. The 42nd president also said he thought that a Democratic president would have been impeached by now if confronted with the same facts facing Mr. Trump, whose 2016 campaign has been under investigation for a year over allegations of Russian collusion. “I think if the roles were reversed — now it’s me just talking, but based on my experience — if there were a Democratic president and these facts were present, most people I know in Washington believe impeachment hearings would have begun already,” Mr. Clinton said. He also addressed criticism by Sen. Kirsten Gillibrand, New York Democrat, who said in November that she thought he should have resigned his affair with Monica Lewinsky. Well, Bill, try telling us something we don’t know. We have been saying this for years because if anyone criticized him or even joked about him they used their favorite word to shut us down! Now they are using it against Trump for no apparent reason except that’s the only word they know to try and intimidate people! 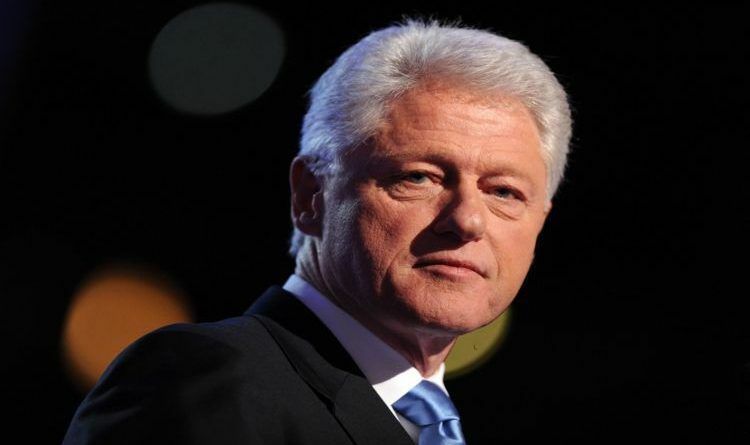 However, Bill Clinton should step up to the plate, be a man a man and announce that his abhorrent behavior in the White House AS PRESIDENT was 100 times worse than anything that President Trump has ever done. Remember, Clinton was a president who lied under oath in federal court, was disbarred and committed untold sexual peccadilloes with numerous women and, oddly, his wife and many people still like him. Go figure.